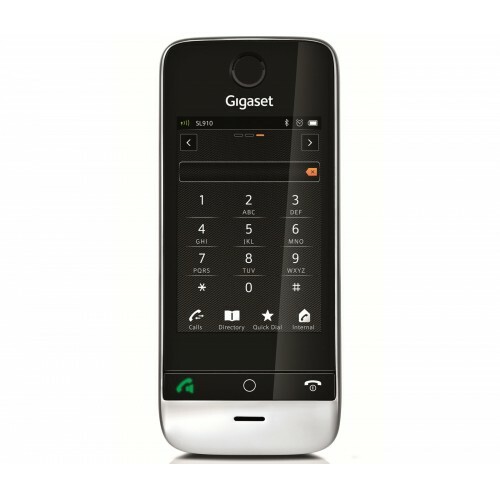 For anyone looking for the best quality in a cordless phone, the Gigaset SL910A more than meets expectations. 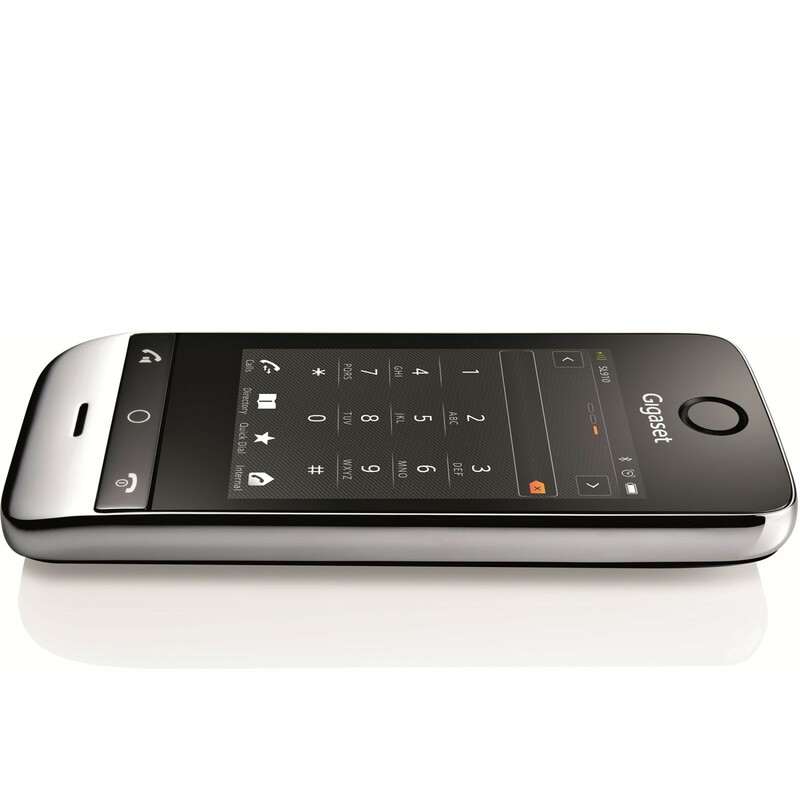 With its award winning design, featuring a 3.2” capacitive touchscreen, and sophisticated genuine metal frame, the SL910A is likely to impress even the most discerning users. 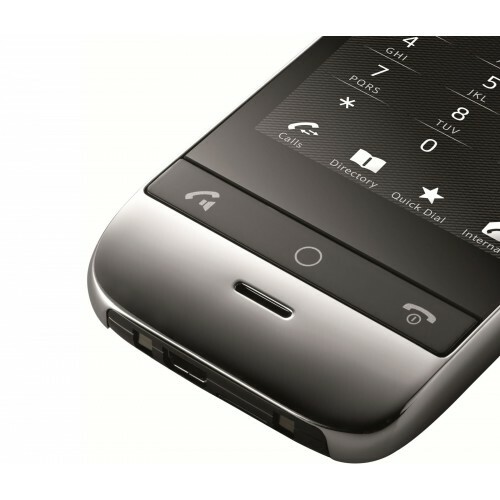 In addition to its superior build, this stylish designer phone offers top-quality features and exceptional sound quality that live up to its premium price. 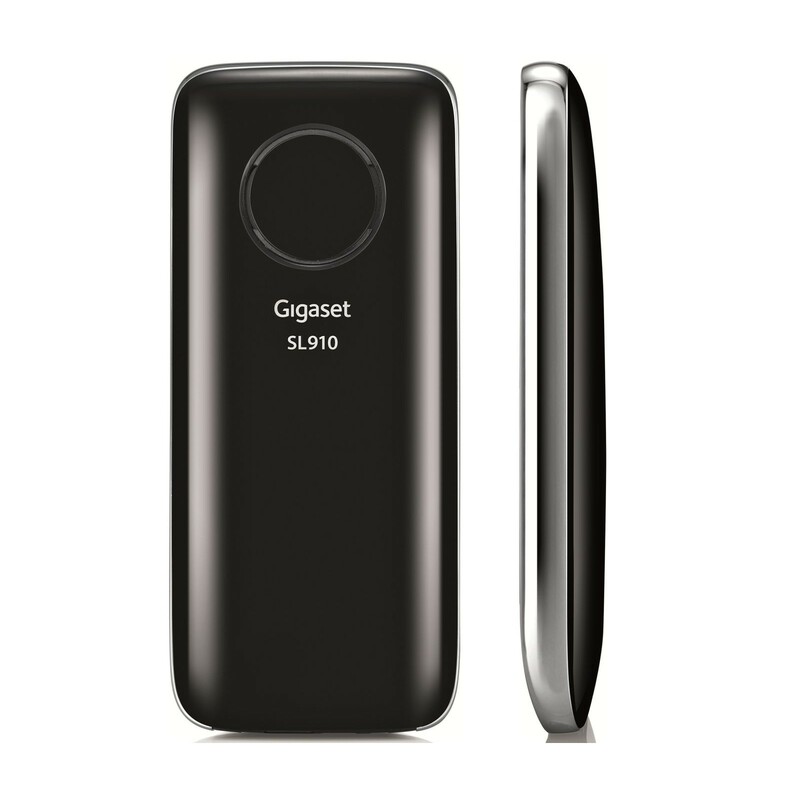 Take advantage of calls in exceptional clarity with the SL910A, which features Gigaset’s pioneering HSP technology for a clearer more natural sound. The volume is easily adjustable whilst speaking, as is activating the in-built speaker phone. And with a reliable range of up to 50 metres indoors (300 outdoors), and continuous talk time of up to 14 hours, you can use the SL910A to talk in the most desirable spot for however long you need. 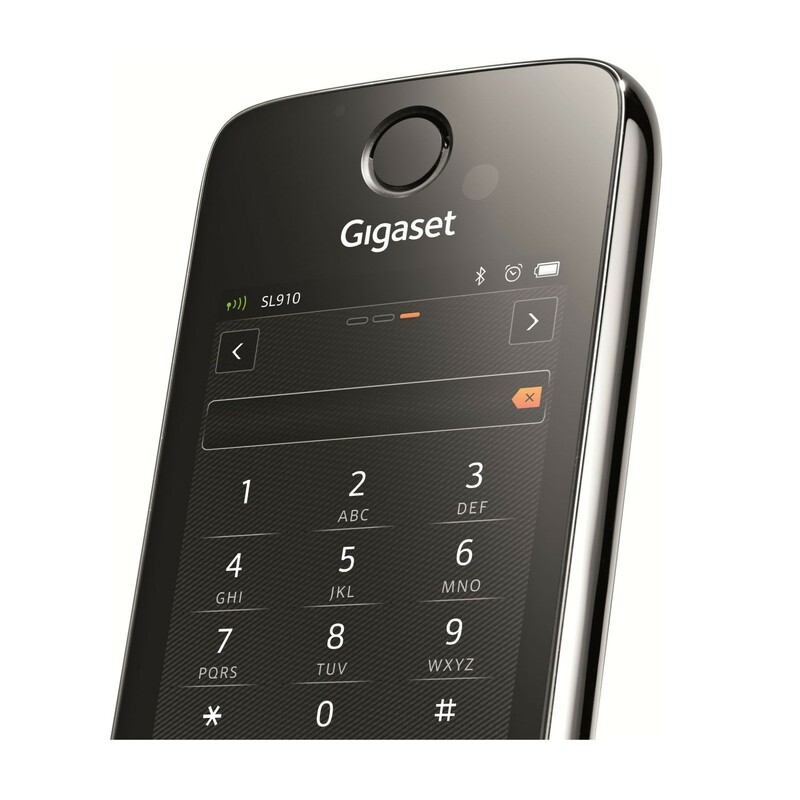 From uploading pictures that can be used for Caller ID or background screensaver, to selecting the functions you use most to appear on the intuitive home screen, the SL910A has been intelligently designed to help you make the most out of your landline. 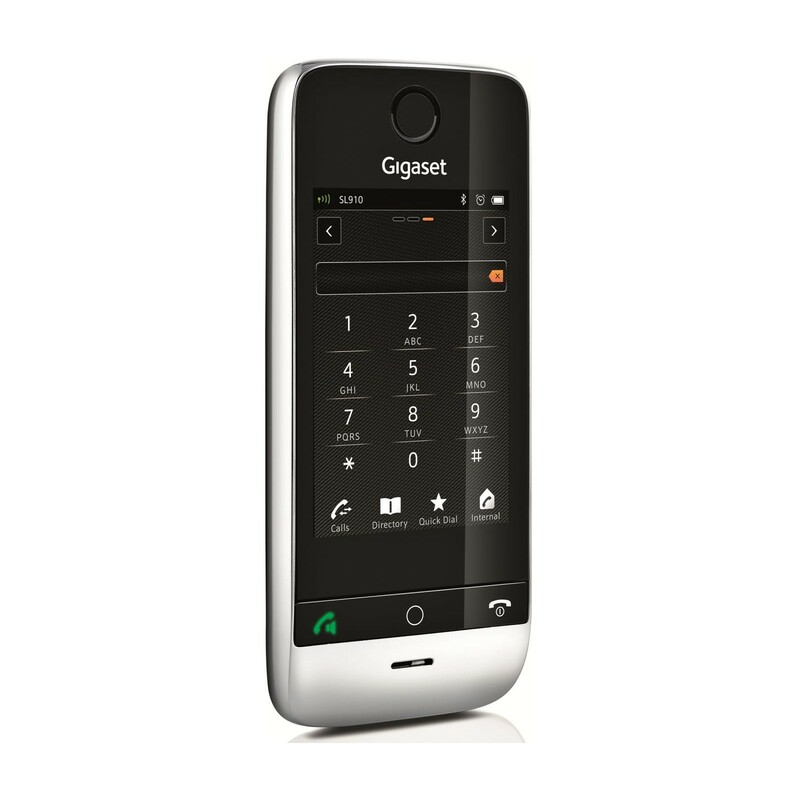 The advantage of a cordless phone with Bluetooth functionality means you can pair your handset with a wireless headset for convenient hands-free calls. 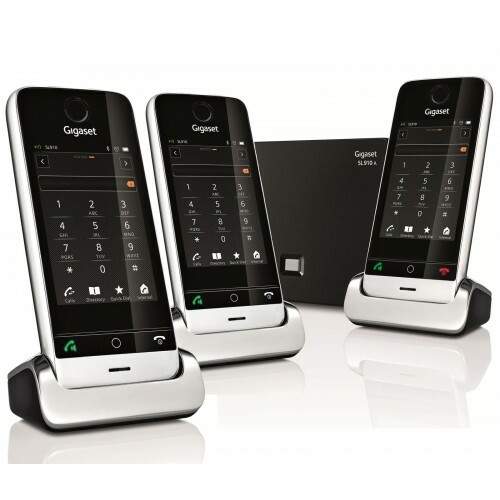 And with the SL910A it can further be utilised to seamlessly synchronise the 500 name and number phonebook (with space for up to 8 numbers per entry) with your contacts on Outlook, or update your phone to the latest firmware. 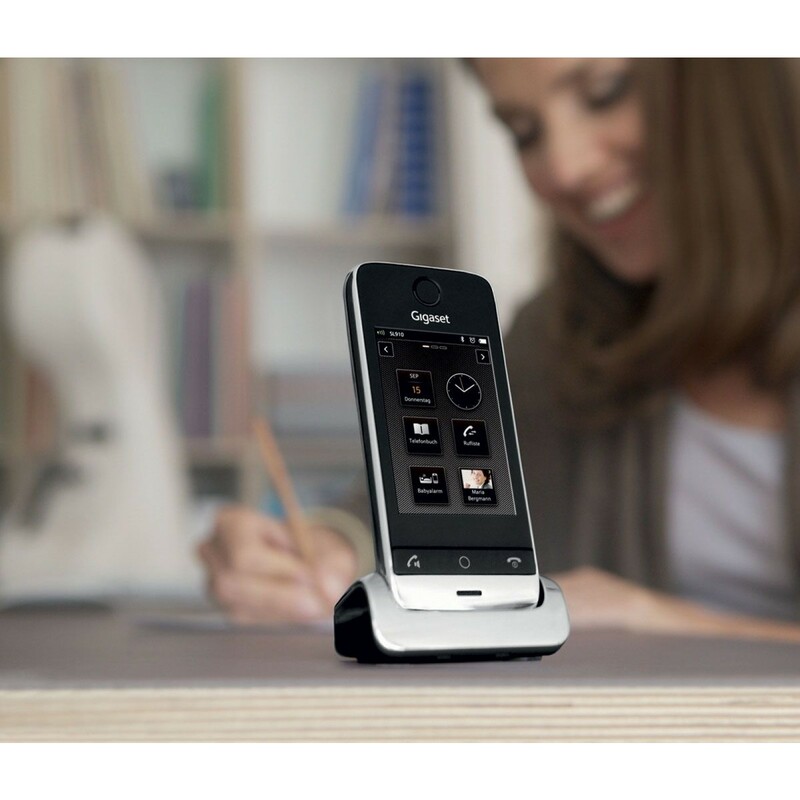 Offering a considerable recording time for up to 55 minutes of messages, the SL910A enables you to take advantage of this memory to record important conversations, and all recordings on the answering machine are protected against a power failure. Messages are accessed and played back from the cordless handset and can also be operated remotely from an external line, allowing you to retrieve important message on the go. 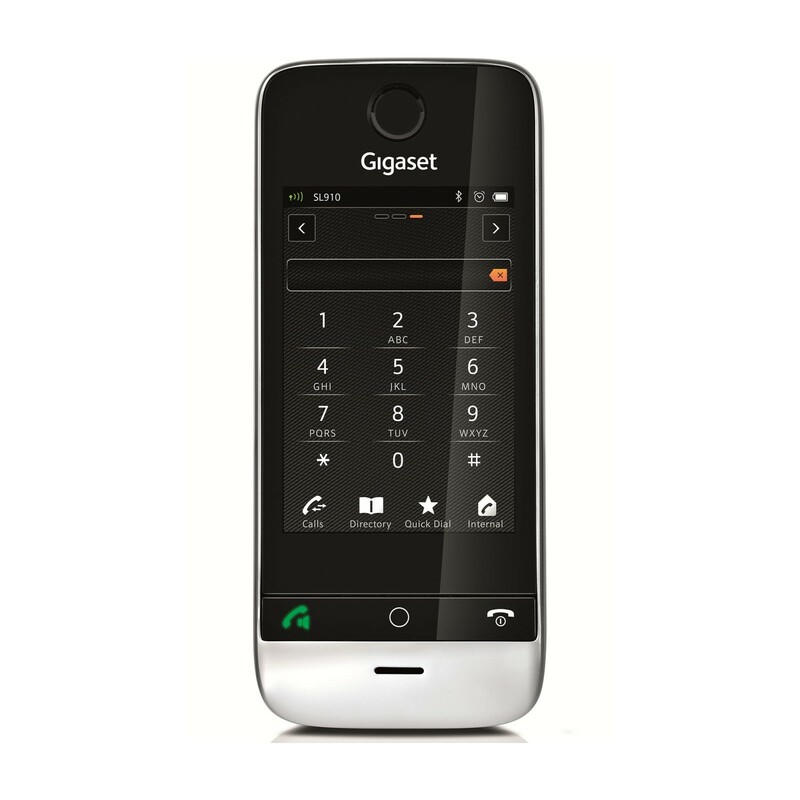 If you’re looking for innovative technology, attractive design and feature rich phone; the Gigaset SL910A with integrated answering machine and capacitive touchscreen is the ideal contemporary home telephone. I needed to replace our set of home cordless phones and wanted to invest in a decent set that wasn’t going to pack in as soon as it was out of warranty. 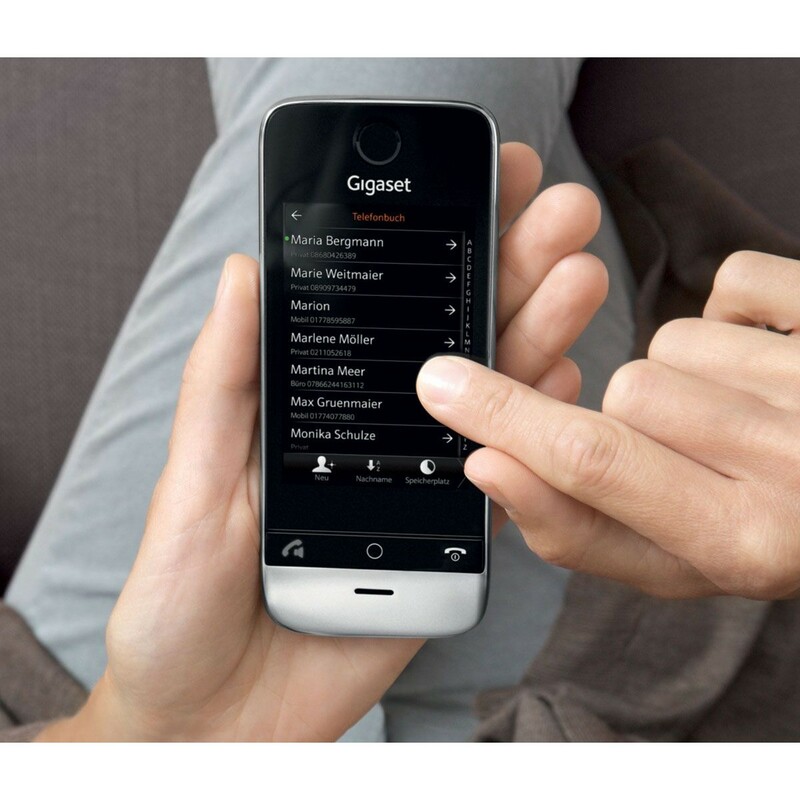 Gigaset seemed to come out on top in my research and this SL910A seemed to get a good write up. Like a lot of people I dithered over the price of this unit but eventually decided to bite the bullet. Overall I am very impressed with the phones. They have been in use for a little over a fortnight and this my feedback. Setting up the phones was very easy - simply a case of plugging them in (I have yet to explore and use all the features) and away you go. The touchscreen is a little slow to respond but as long as you take your time it is fine and having the larger screen is nice and suits us. 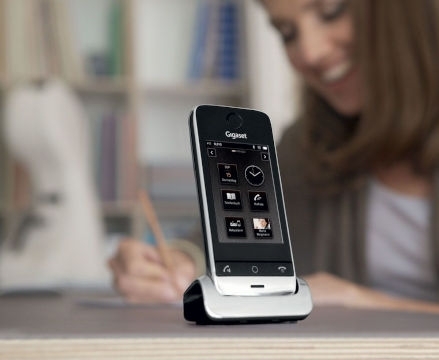 Each handset comes with its own little station and neither has to be connected to our telephone line so we no longer need to keep one of our handsets in the hallway (and remember to put it back to charge each night!). The difference in the quality of sound on phone calls between this and the phones we replaced is staggering. Very clear, good range of volume, and an excellent handsfree speaker. All in all this is a fantastic phone. Yes it is expensive but if you want something that has been built to last and delights in design, features and quality it can’t get any better than this! Bit like having an iPhone. Quite easy to set up. So many features, have not discovered them all. Takes a bit of getting used to but like the look and the feel. 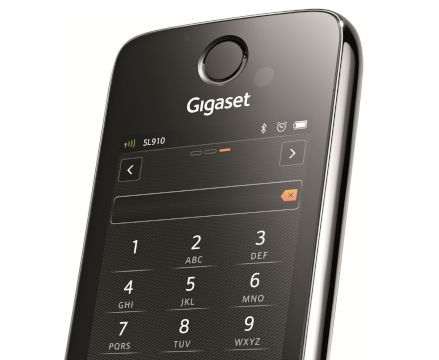 Also added old gigaset handsets to the new set which is really useful, so now have five phones (three new). It truly is an amazing looking phone, and is so easy to set-up and use. The base part that connect to the phone line is separate from the handset, which means we can keep that out of the way and have the handset on display. There is a great clock screensaver, though we\'ve been toying with the idea of using one of our photos but not got round to doing it yet.\nWhat else? 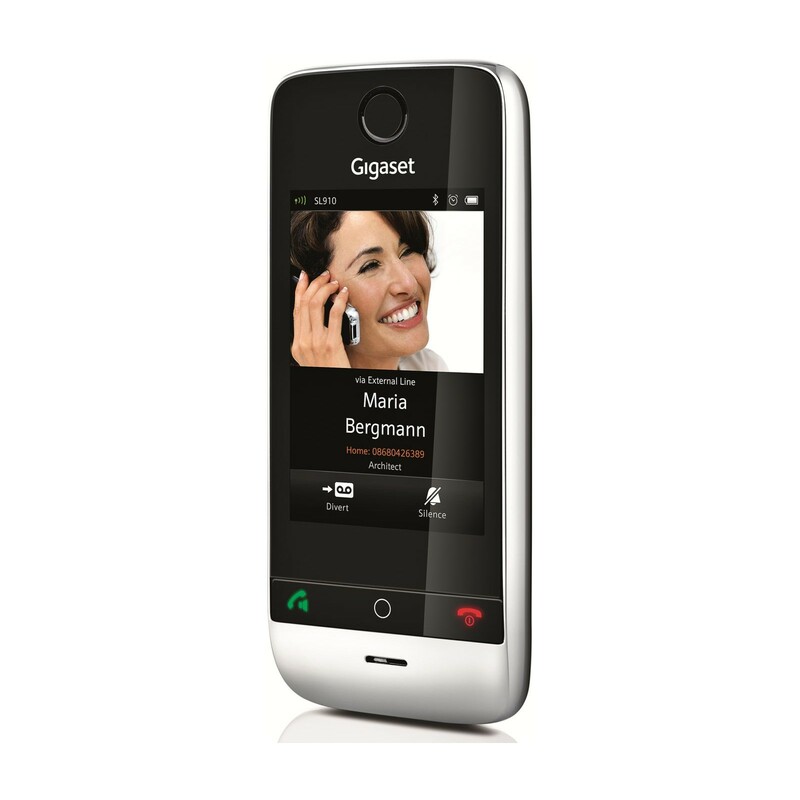 The sound quality is crystal clear and far better than anything else we\'ve had in the past. \nYes it\'s expensive but you get what you pay for with this so I\'m very pleased and would be happy to recommend it. I really love this phone now I've understood how to set it up. 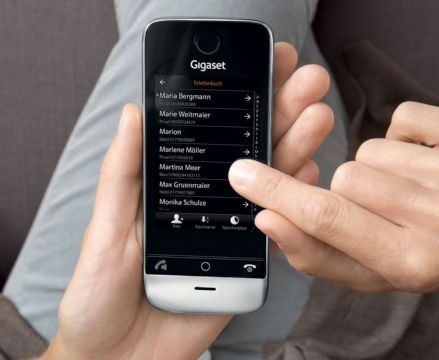 Easy to transfer my contacts from older Gigaset phones. I'm using it with two older Gigaset phones but will buy an additional SL910 phone and sell the old ones, the new one is so much better! So pleased with this phone, looks good and easy to use. Would definitely recommend, although on the pricey side, it's worth it.